ReelTime CLE is a nationwide provider of dynamic, interactive CLE workshops, conferences, law firm retreats, and professional development training programs, committed to using the most proven and effective methods of adult learning to help attorneys, paralegals, and other professionals work (and interact with one another) more productively, ethically, and sustainably. Chris Osborn and Michael Kahn began providing their innovative CLE workshops on ethics, professional responsibility, and mental health/substance abuse awareness in 2007, initially under the auspices of the Mecklenburg County (North Carolina) Bar. After developing and presenting several successful programs, ReelTime CLE began presenting workshops independently in Charlotte and elsewhere in North and South Carolina. 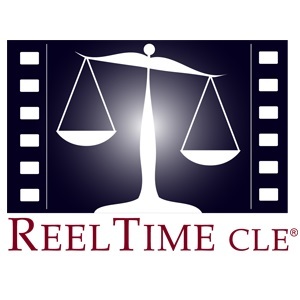 Since January 2010, ReelTime CLE workshops have been enjoyed live by thousands of participants in 10 U.S. states, four Canadian provinces, and 6 Australian states or territories (and online by many more in over 20 states). In August 2012, their program, “Practicing Dirt Law and Keeping Your Nose Clean”- Stress and Ethical Decision-Making for Real Estate Attorneys, received an Award of Outstanding Achievement in Programming from ACLEA, the Association for Continuing Legal Education Professionals. Michael Kahn holds a J.D. from the Dickinson School of Law, and practiced law with the Attorney General’s Office for the State of New Jersey for 6 years. Although he left the practice of law in 1991, his work thereafter has kept him involved in the lives of attorneys in various capacities. Following a stint as Assistant Director of Career Services with the Tulane University School of Law, Michael obtained his M. Ed. in Counseling from UNC- Greensboro in 1994, and shortly thereafter became a Licensed Professional Counselor in the State of North Carolina. Michael’s areas of focus in his psychotherapy practice have included anxiety, depression, grief/loss, career satisfaction, and men's issues, and he has worked with adolescents and adults in individual and group therapy settings. In 2012, he relocated to Oregon, where in addition to continuing his speaking career, he served as an Adjunct Professor at the Lewis & Clark Graduate School of Education & Counseling. He currently resides in Vancouver, BC, and he continues to present training seminars and workshops on ethics, grief, self-care, diversity and inclusion, and other topics for attorneys and mental health professionals throughout the U.S. and abroad, including for the U.S. military. In addition to his ongoing work with ReelTime CLE, Chris Osborn is the founding principal of Osborn Conflict Resolution, which provides Superior Court mediation, pre-litigation conflict coaching and dispute resolution, and Christian conflict conciliation services throughout North Carolina. Chris has been certified by the N.C. Dispute Resolution Commission as a Superior Court mediator since 2009, and has assisted the vast majority of his legal clients over the years to reach amicable resolutions in a wide variety of litigation matters, including business breakups, construction and employment law disputes, and will caveat disputes. From 2012-2015, Chris served as an Assistant Professor at the Charlotte School of Law, where he taught “Interviewing, Client Counseling, and Negotiations,” Civil Procedure, Contracts, and “Problems in Practice: Commercial Transactions.” While in academia, Chris’ scholarly research focused on ethics and professional responsibility, and particularly the interrelationship of both with mental health and substance abuse issues. Upon graduating from the University of Virginia School of Law in 1995, Chris began his legal career with an insurance defense firm in Charlotte. He served as a career law clerk to former U.S. Magistrate Judge Carl Horn III before joining Horack Talley Pharr & Lowndes, PA, in 2001. During his 11 years as an associate and a shareholder with the firm, Chris handled construction and real estate litigation, business litigation, and employment disputes in Superior and District Courts, as well as in all three North Carolina federal district courts.